Preparing Your Dog For Their Photoshoot. Photo session done in Sanctuary Waters Park in Perth Western Australia. So you have decided to book your beloved pet in for their very own professional photo shoot. Congratulations it is one of the best decisions you have made for your fur baby! To see your much loved family member upon your wall or in an album on your coffee table every day long after they have left us is truly a joy. I have put together my top tips to get the best out of your big day. Begin working with your dog on their sit/stay commands. Make these sessions short but frequent, say around 10 minutes every day. Bath your dog a couple of days before the session and brush him/her fully the day before. If your dog is the breed that requires grooming sessions, then book him/her in around a week ahead of the session. This is just in case the cut is a little short and allows some time for it to grow out a little. Alternatively ask your groomer for a slightly longer clip on this occasion. Pay special attention to their eye area. If you have a long haired dog be sure that their eyes are visible for their photos. If your pet has tear stains under their eyes, it is worthwhile purchasing a product that eliminates these stains. Exercise your dog before the session. Take your dog out for a walk or run a couple of hours before the shoot to expend any excess energy and excitement, but don’t overdo it. You don’t want them completely worn out and tired before the shoot. Photo session done in a Perth backyard. Your dog is bound to have something that gets them super excited. For some it’s a special word such as ‘walkies’ or ‘car’. For others it may be particular foods or toys. These things can be used at the session to encourage that look of interest, ear pricking, head tilting or just a happy inquisitive look. For dogs who are very food orientated and motivated by treats, this can be the most effective way of gaining their attention for their photos. They can be shown to the dog just at the right moment for that special look to capture ‘That Shot’. They are also a great reward for following directions. I always have 100% natural treats on hand, however if your dog has any allergies or has special treats that they adore, then bring those along to the session for a sure fire way of gaining their attention. Do keep these treats a secret so it is a surprise when we decide to bring them out. Don’t feed your dog a large meal before their portrait session. They may be sleepy and less alert after a meal. Also it’ll be much harder to ‘bribe’ them with treats if they’re full. These are my top tips on how to prepare for your dog’s photo session. We want you and your four legged companion to enjoy the experience and create beautiful artwork for your home. Please contact me on 0439 906 523 or email me at michelle@pawfectprints.com.au with any questions you may have or to book a session. Photo session done at Sandy Beach in Perth Western Australia. Tips For New Pet Owners On Finding The Right Pet. A guest article by Jessica Brody. Welcoming a new pet to your home is an exciting event, but it also takes thorough planning. You will need to prepare your home for the new family member, and create a conducive environment for him to transition into a new life with you smoothly. Here are some tips to help you on your journey as a first-time pet owner. How to determine what kind of pet is right for you. What kinds of activities you want to do with your new pet. Whether you or a family member has pet allergies. How large your home and yard are. Your lifestyle and schedules. Pets require human attention. Therefore, if you have a busy schedule or travel a lot, you’ll need to consider hiring a pet sitter to take care of your pet while you are away. Animal regulations in your location. Your financial situation. Owning a pet comes with a lot of costs, such as pet insurance, veterinarian fees, supplies, training and daycare charges. Take this quiz to help you establish what type of pet is most suitable for you. How to prepare your home for a new pet. Obtain all the necessary pet supplies before bringing him home. For instance, if your pet of choice is a dog, get him bedding, potty pads, feeding bowls, food, grooming supplies, a crate, a car seat, a leash, a collar tag, and toys. Pet-proof your home. Walk around each room in your house and look at it from your pet’s perspective. Identify anything that could cause harm to him. Install gates to block off access to the fireplace and swimming pool. Look out for edibles that are safe for humans but which are poisonous to pets. For instance, coffee, garlic, and chocolate are poisonous to dogs. Decide which side of the house the pet will be staying, and set it up. Talk to your family members about bringing home the new pet, and discuss pet-care schedules and responsibilities. How to help your new pet acclimate to his new home. Choose a day that you are available all day to bring your pet home. Use a pet carrier or a crate to transport him. Talk to the previous pet owner or caretaker to gain an understanding of the pet’s experiences, preferences, and schedule. If you can, bring along some of the pet’s favorite items. Keep an eye on his behavior and tendencies to have a better sense of his personality. Adequately meeting his needs will help him acclimate more quickly. When bringing home a rescue pet, it may take extra effort to get him adapted to the new environment. Rescue pets may exhibit fear and nervousness at first. In extreme cases, talk to his veterinarian about anxiety medication and other approaches of managing the edginess. How to bond with your new pet. It’s no secret that pets bring joy and a host of other mental health benefits to their humans. In addition to being wonderful members of families, animals have been proven to reduce loneliness in the elderly, help recovering addicts get back on track, and even help children with autism overcome their obstacles. The bond between pets and people is truly astounding - but you’ll need to take a few simple steps to establish and foster it. Find a balance between loving your pet and giving him space. If you can, ease up your schedule for the first few days to spend a substantial amount of time with him. Be actively involved in care activities, such as feeding, bathing, and grooming. Organize a playdate for you and him. Involve him in some of your hobbies, such as exercising or hiking together. While being a pet parent comes with great responsibility, you’ll enjoy many health and social benefits once you bring your bundle of fur home. With planning, your pet-ownership journey will be an enjoyable one. 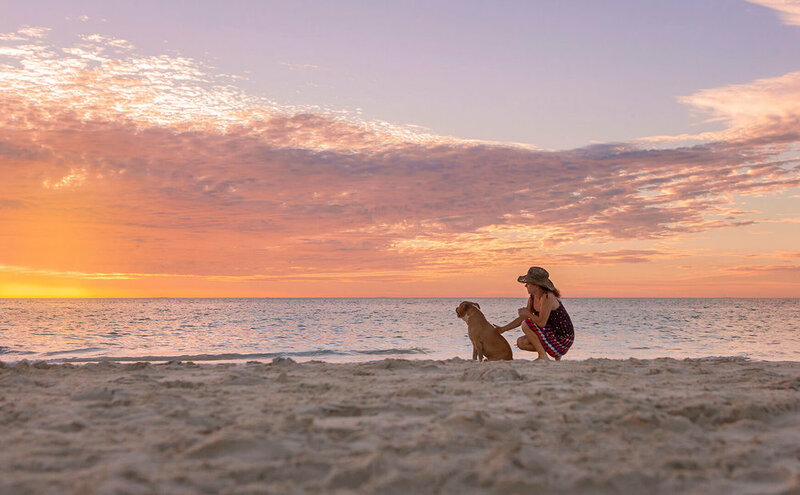 Mel and Rocky's sunset session at Hillarys Beach Perth. I recently met with Mel and Rocky for a beautiful sunset session at Hillarys Beach just north of Perth in Western Australia on a gorgeous Autumn day. Mel told me that the beach is her and Rocky's most favourite place in the world to spend their time together. This particular day the weather was spectacular! The clouds were being blown around gently in the breeze and creating the most stunning patterns throughout the sky. We began the session early and captured some fabulous shots of the adorable Rocky sitting atop one of the dunes. We had the ocean in the background with the lowering sun behind peeking out from around him. He looked sooo happy sitting there with that giant Staffy smile gazing into the camera. He was such a patient boy modelling for us while he waited for the opportunity to expend some serious energy. After his few photos taken on the dunes he went for a frolic along the beach. He weaved in and out of the gentle waves enjoying the freedom and fresh ocean air. Rocky then decided that enough was enough, it was time to get into the water for some cooling off. I mean what little Staffy boy wouldn't want to partake of a quick dip after such antics! Mel then found a stick and began gently teasing him with it. She was having as much fun as he was dancing through the sand waving the stick above him. The sky had turned a vivid pink and Mel and Rocky looked magical in this beautiful light. The sun began to dip a little lower and the gorgeous sunset colours began to make themselves known. A deep yellow appeared, and we captured Rocky whisking by, following the line of the water with the blazing yellow as a most stunning backdrop. Soon the sun dipped down low onto the horizon and the deepest colours of yellows and oranges made their appearance. Their energy expended, Mel and Rocky enjoyed the radiance of the setting sun and contemplated how beautiful nature can be. With the feel of the cool water on their feet they felt refreshed and invigorated, also a little worn out after their playful antics. They crouched down together and bid farewell to the day. They turned to each other and gazed lovingly into each others eyes. Silent thoughts of love, acceptance and pure gratitude were flowing between them, as they contemplated the blessing they've been given of having each other in their lives. Would you like a sunset beach photo session of you and your best friend? Give me a call during business hours on 0439 906 523 or drop me an email at michelle@pawfectprints.com.au. 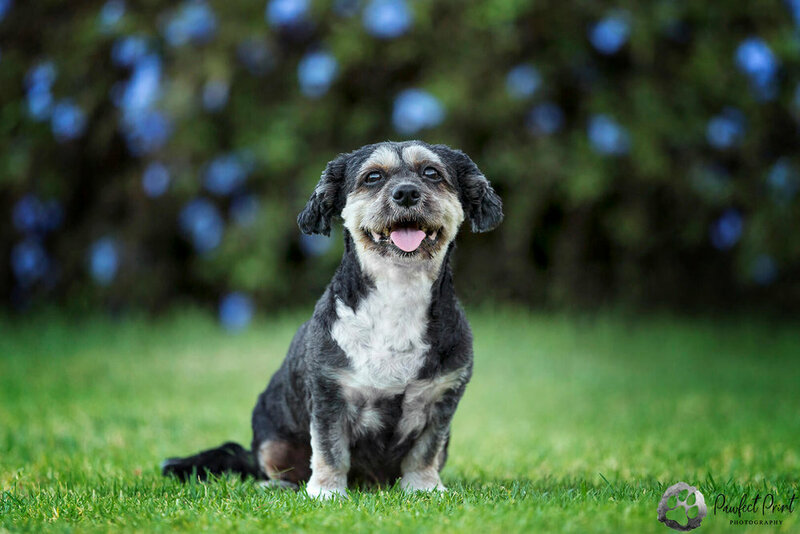 Your pet’s photo shoot is scheduled tomorrow, and you have just noticed that your once gorgeous and elegant furry friend isn’t in the best shape they could be for a photo shoot. In fact, she looks like they just went through a washing machine or got stuck in a bush. I'm sure that's not you.. :) But you may still find your pet could do with some sprucing up before their upcoming pet portrait session. Located in Jandakot, one of Perth's southern suburbs, is K9 Playtime. With a friendly and very professional staff, you will be impressed when you see your dog getting excited every time you take them to their place! Emily and Rob are definitely recommended, they really are one of the best dog grooming services in Perth, and they also offer doggy daycare. They’ll even return your dog to you wearing an adorable bow or a bandana, you can’t be more stylish! This dog grooming academy also offers animal grooming courses, and they do know a thing or two about pet style! They use top quality products, and are very well prepared to groom many different breeds. Although most of the time, they work with larger breeds (that is their specialty) so don’t be afraid of taking your big boy there. They are in Kelmscott. So if you want your pet to look the best she has ever looked in her life before her photo shoot, please do bring them here and see it for yourself. If you’ve been living in Perth for a while, chances are that you’ve seen Petbarn’s big yellow building. There are 5 different Petbarn centres around Perth, and these guys are great at what they do. What is that? Well, everything related to pets. Seriously, vets, food, adoptions, insurance, pet products. They even have around 100 hired stylists. And their service can’t be better. So really, let your dog try one of their deluxe bath and groom services before their big photo shoot. They'll thank you for it and you'll love your photos even more. So there are three options for groomers around Perth you can choose from. If you need any more pet-related tips or recommendations, or want to organise a pet photo shoot give me a call. If you’re here, it is probably because you love your dog (almost more than anything else), and there’s no better way to let them know than to take then on a new adventure. 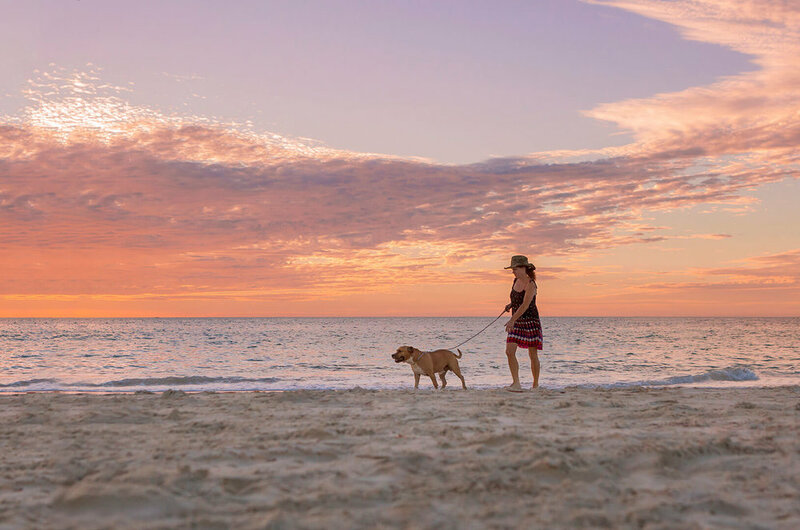 And Perth has some of the best dog-friendly spots in WA to go and explore! If a dog-friendly haven for wildlife where you can go for some exploration and drink a coffee plus get some sweet treats for your dog sounds nice, then checking out Canning River Regional Park is a must. With a number of different gorgeous trails to walk through including wetlands and waterways in a beautiful native bushland, this park is a place your dog will totally love. Plus after all the exercise you’ll get, there’s a dog friendly café where you can buy dog treats for your furry friend. 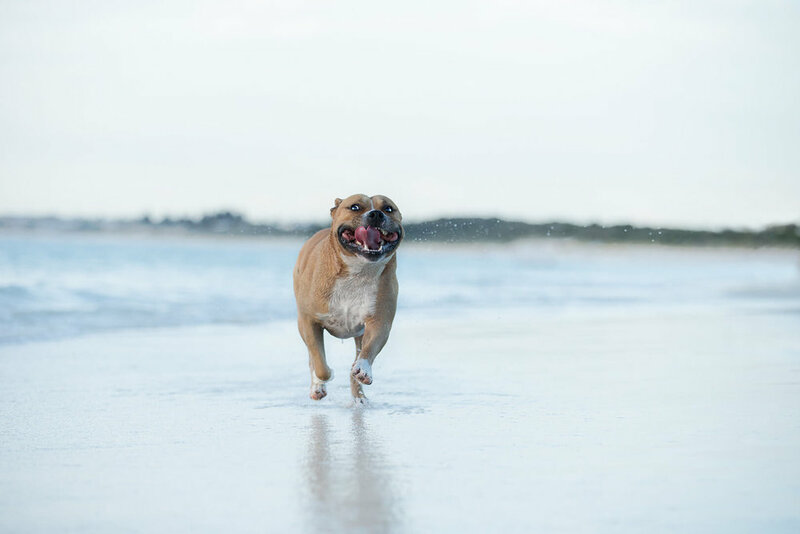 Located in the northern suburbs of Perth, the Whiteman dog park has to be the one of the best dog outings in Perth, and in this park, your dog will never know what boredom is. 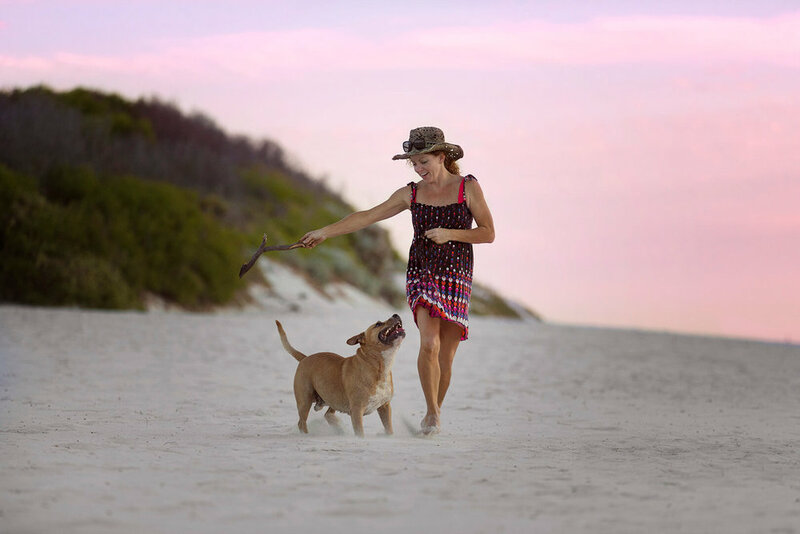 The Whiteman Dog Park has almost 4000 hectares of bushland and dog facilities where you’ll be able to play with your four-legged friends for hours until exhaustion (both yours and theirs!). It has picnic areas, cafes, and recreational spots, so you can have an amazing day with the whole family. Plus a fenced dog park where your pet will be able to play all he wants off-lead. If you’re looking for a big extension of green grass with lots of furry friends for your dog, the Carine Regional Open Space is the place you want to be. This is a dog’s paradise, and there’s always dog lovers having a nice time with their pets there, so you will have plenty of like-minded company. In Carine Regional Open Space, your dog can be off the lead, and they’ll have plenty of space to run and play with other dogs, so if they're the sociable type, they’ll definitely enjoy going there. Want to book in a photo session? While you're exploring some new nature it's the perfect time to also book in a photo session for your dog while they're having an awesome day. Just give me a call on 0439 906 523 or email michelle@pawfectprints.com.au and I can come and meet you (almost anywhere in Perth and beyond). Because of the animal photography sessions I do and my volunteer work with animal shelters, I know that there are a lot of “seasoned” dog owners in Perth that think they are doing what is right for their furry babies, while the truth is that they're either spoiling them a bit too much, or accidentally reinforcing behaviours that should be corrected while thinking they're doing the right thing. If your dog has been acting out, their behaviour gets out of control, or they won’t listen to you anymore, then you know it might be a good time to get some professional training for your dog. It's also a good idea to brush up on your training skills before a photo shoot, as a well-behaved dog usually means you'll get much better pictures. With over 10 years of experience, Nat McDonald is a canine psychology and behavioural consultant who’s just a natural for the job. When you meet her (and she meets your dog) you’ll understand why. It’s almost like she can talk to dogs in their language, and you can easily sense how much she loves what she does. Many people all over Perth have had great results hiring her, and not just that, she will also help train your family (humans need training too!) to know exactly what to do, and how to do it, to confidently train your dog in the best way. Nat is located in Scarborough, but you can find her and contact her on her site http://www.dogdialogue.net/ or call her direct on 0428 321 978. Kalmpets offer a broad range of services with a large team and dog day care facilities as well as training options. They are located in Balcatta, and their services specialise in problem behaviour of both dogs and cats. They have a highly knowledgeable team, skilled at resolving almost any issues your furry friends might be having. Kalmpets use careful and meticulous scientific methods and through analysis can gain deep insights into your pet’s conduct, going straight to the researched ways of getting to the root of the problem. If your pet’s issues are serious, Kalmpets Animal Behaviour Centre is a very good option to consider! It's also worth checking out their site just to see their logo, it's awesome! With 50 years of combined experience across their team, Manners 'n’ More is a service you will love if you’re worried about not raising your puppy properly. Manners 'n' More are located in Bibra Lake, and they not only specialise in canine behaviour, but they even have programs and resources for companion and rescue dogs. They have many great services and lots of happy customers who have raised their dogs with them right from their puppies’ very first steps. Collen and her team will be incredibly helpful in building your dog’s obedience level and conduct so he can be the best dog he can possibly be. Getting a photo session with your pet doesn't just have be about the photos. 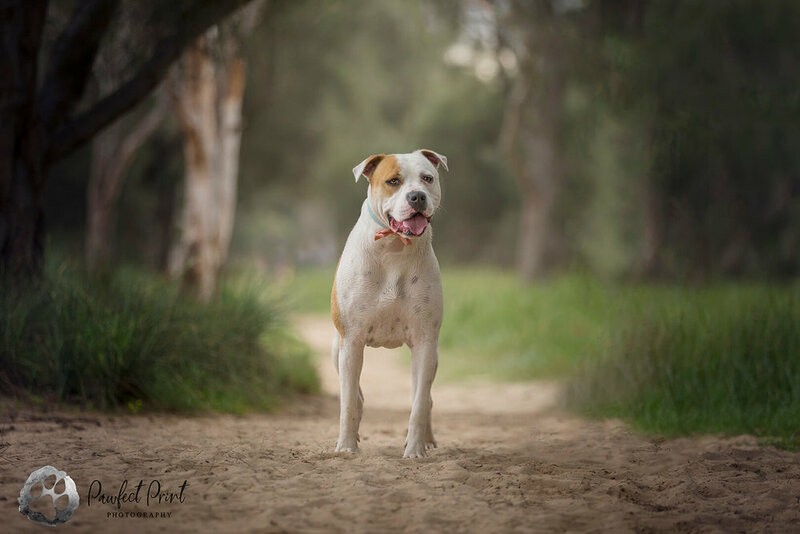 Going to new places and enjoying all the beauty that Perth has to offer can be a really fun experience, not only for us, but also for our four legged friends, and you can turn your photo session into a much longer outing. These are my picks for the top spots in Perth where we can go and take gorgeous pictures of your fluffy pals. How can you think about photography spots in Perth without first thinking about Kings Park? Kings Park is one of the most beautiful parks in the city, filled with history, culture, innovative design, conservation and public education. Both for Western Australians and tourists, Kings Park is a great place to get in touch with nature, and it is visited by about 6 million people per year, so your pictures can really look alive and active. With a huge biodiversity over 400 hectares of both cultivated gardens and untamed bushland, it's also the biggest botanical garden in the Southern Hemisphere! 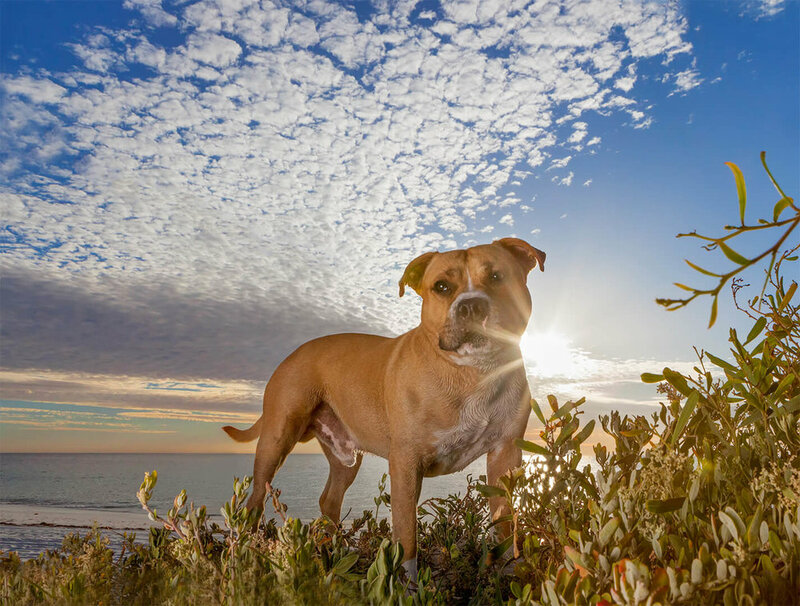 In Kings Park, you can photograph your pet on beautiful grassy landscapes with gorgeous views of the Swan and Canning rivers in the background against the city skyline. You won’t run out of spots to take great photos in here. The only limitation is that dogs should be on a leash and are not permitted within 10 metres of the kids’ playground areas, so keep that in mind. Any sunny day is an excellent day to go to Hyde Park, and it is also one of the most beautiful places to have a photo session. Located between North Perth and Highgate, Hyde Park is an old-fashioned park with plenty of non-Perth-native trees. This makes it a rather astonishing place to get out of the ordinary pictures. 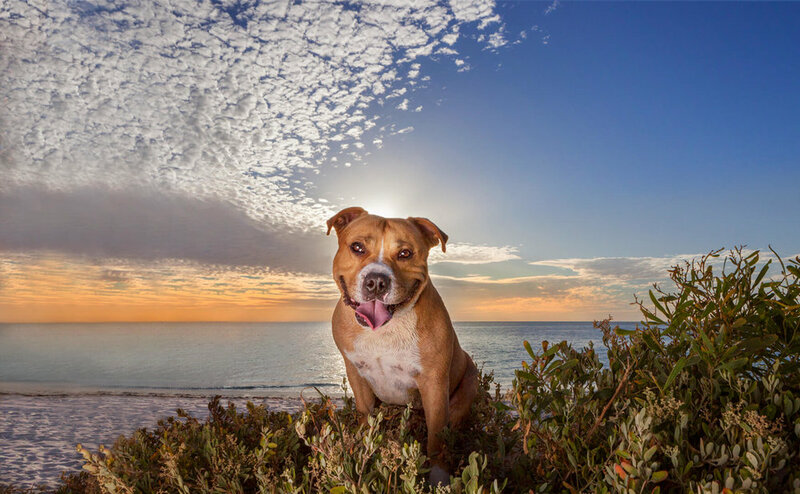 You can photograph your pet around Willows, Plane trees, Jacarandas and Moreton Bay Figs, which is a bit of a rarity for Perth's usual native landscape. One of my favourite things about Hyde Park is the colour-filled pictures you can get all year long thanks to the deciduous trees. As I said before, if it is a sunny day, the colours just bloom everywhere around the park, and I love the way they turn as the seasons change. For example, you can get gorgeous shades of orange if you go in autumn, which can give a very memorable backdrop of your pet against the landscape. This makes Hyde Park stand out from other parks around Perth. You can also easily find parking in the surroundings of the park, and another thing to keep in mind is that you should have your dog on a leash when you go. 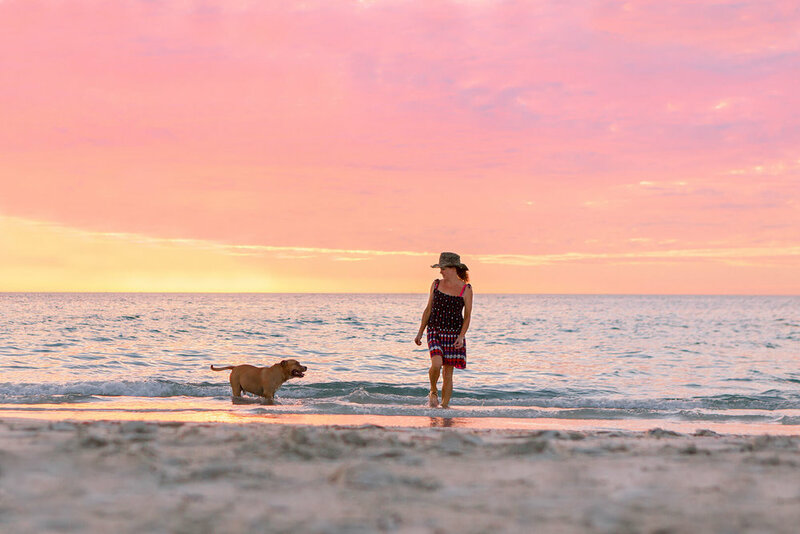 One of the favourite beaches of locals in Fremantle, South Beach is the perfect place to go and get beach photographs of your pet, not only does it have beautiful white sand and clear water, but it’s just a great place to spend the day. With its many casual cafés and picnic areas, you won’t run out of things to do in South Beach, so you know you’ll have a great day if you decide to have a photo session there. You just have to remember that pets aren’t allowed in the north side of the beach, but from the Sailing Club to the south you have 400 meters of beach to let your four legged friend run free and happy between the sand and the water. The south side also has a grassy park area that can add some diversity to the photos of your dog. Now for some off-the-lead fun! The Trigg Bushland Reserve is a great place to bring your dog to have a lovely nature walk, as well as taking some beautiful shots through the bushland. The Trigg Bushland Reserve is located just off Karrinyup Road, right before you reach the coast, and it has several entries. With many great spots to go and trails to follow, you won’t run out of gorgeous settings to photograph your pet. It also has many maps around the way, so don’t worry about getting lost (just stay on the tracks and you’ll be safe). Just be careful of snakes! Our older fur babies often suffer from arthritis and it can be very painful for us to see. There is nothing worse than seeing our much loved family member suffering. Signs that your baby is experiencing this terrible condition include difficulty rising, limping while walking or walking very slowly, or a reluctance to walk/come, jump or climb stairs. Arthritis is usually much worse during winter, but there are a few things you can do to help alleviate the pain and support them. Keeping their weight at a healthy level is a must. Overweight dogs and cats put a lot of excess strain on their joints, which exacerbates the condition. Ensure you are feeding your animal a species appropriate diet that is the correct amount of food for their age and activity level. If your dog or cat is overweight reduce their portion size. Raw meat and offal with a little cooked or pureed fruit and vegetables are a very good choice for dogs, with some raw bone added such as chicken necks and wings or whole carcasses. If at all possible it is of major benefit to have the food be organic and grass fed. There is some debate between 'prey model philosophy' feeders and 'BARF philosophy' feeders regarding whether to feed dogs any plant based material or not. That choice is up to you...there is an interesting article here if you would like some more reading on this. Adding some joint support supplements can help ease your critter's pain levels. Green lipped mussel, fish oil, tumeric paste and glucosamine/chondroitin added to your baby's food can benefit them immensely. Massage is a great way to increase circulation, which in turn helps mobilise a stiff area. It also increases your connection with your fur baby which makes you both feel good. Stroke the sore area gently while using your thumb to apply light pressure around the affected joint. Do not apply pressure directly to the joint itself. A lot of animals who have sore joints don't want to move much, however it is important for them to maintain movement to increase their circulation and maintain muscle tone around the joint. 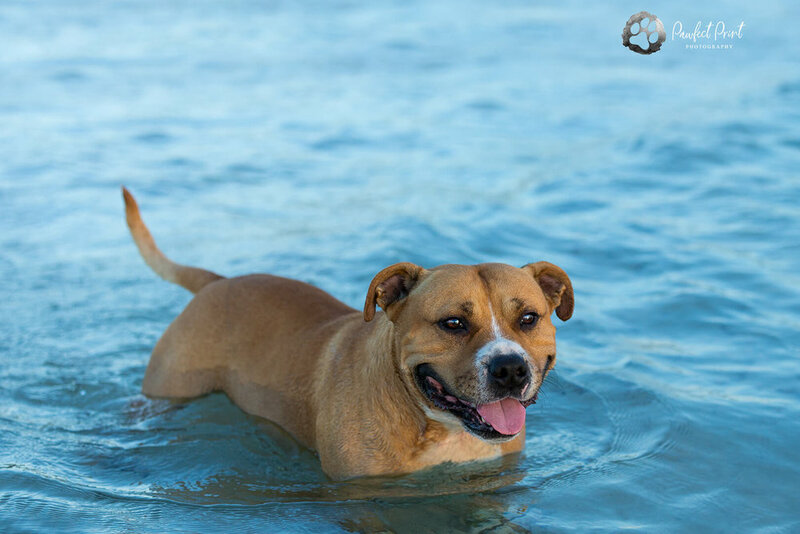 Hydrotherapy is an excellent exercise treatment for dogs with arthritis. Active Pet Rehabilitation offers this treatment here in Perth, link here for more information on this. With some special care for your arthritic four legged companion it is possible to ease their suffering throughout these cold winter months. Much love to you and your beautiful being!